This bioregional assessment identifies current and future coal and coal seam gas resources and developments, as well as water-dependent assets in the Sydney Basin bioregion. 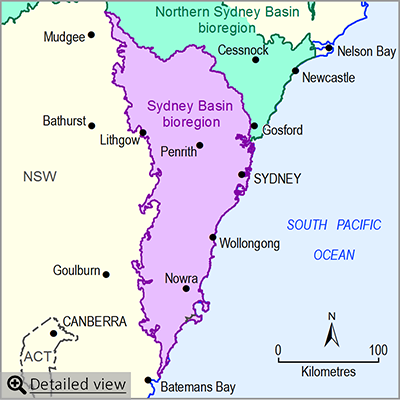 The Sydney Basin bioregion adjoins the Northern Sydney Basin bioregion, and extends from Capertee in the north to Durras on the south coast of New South Wales. 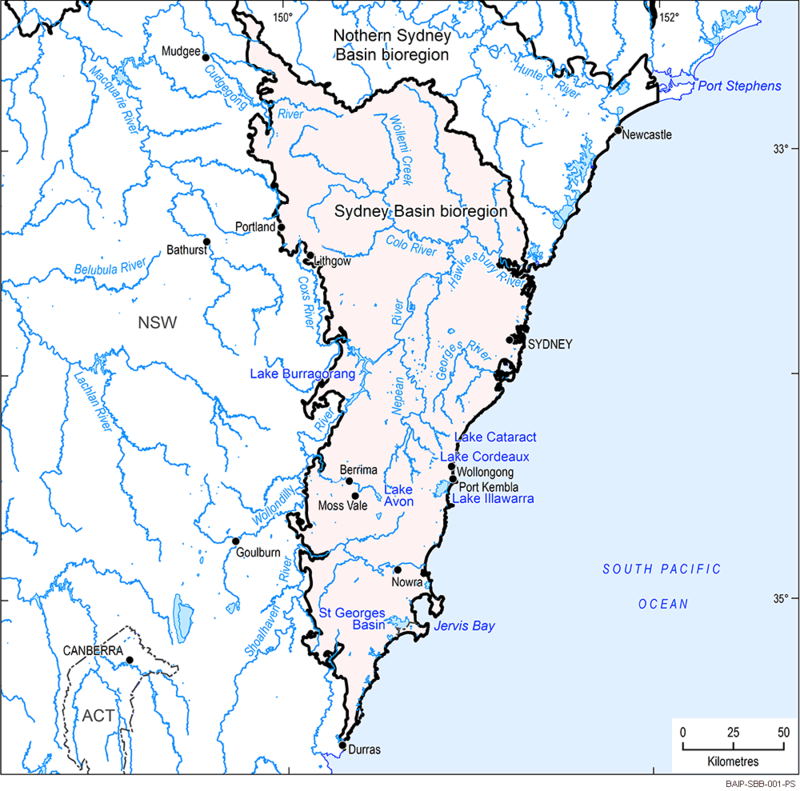 Major rivers in the Sydney Basin bioregion include the Hawkesbury River and its main tributary the Nepean River, as well as the Georges and the Shoalhaven rivers. The Sydney Basin bioregion includes Australia’s largest city, Sydney, as well as the cities and towns of Wollongong, Bowral, Moss Vale, Nowra and Lithgow. It also includes significant parts of the Blue Mountains, Wollemi and Moreton national parks. Annual rainfall: ranges from about 800 millimetres (inland) to about 1300 millimetres (coast).